The Hybrid Body pack Wireless Microphone Package from VocoPro is a four - channel microphone system that operates in the 900 MHz band, making it immune to TV broadcast interference. 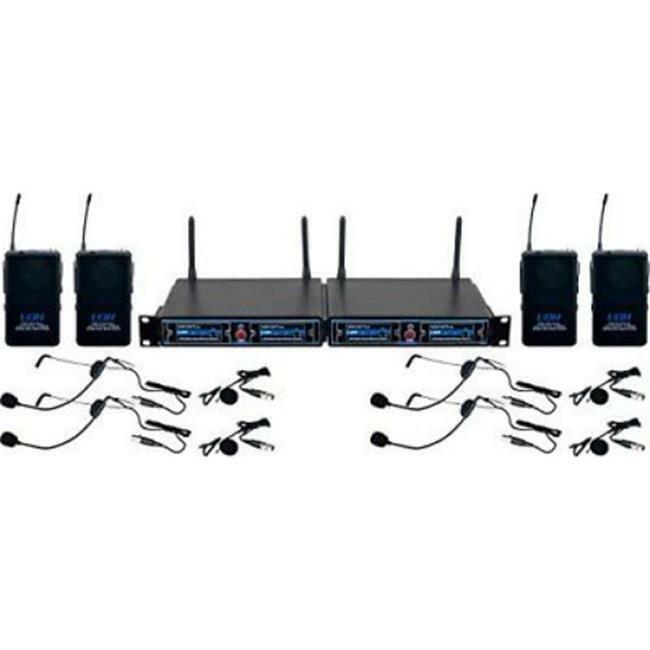 This package includes two dual receivers, four body pack transmitters, four headset microphones, four lapel microphones, two power adapters, and two 1/4 in. patch cables.